Virtualization is at the top of priority lists for IT departments everywhere, no matter whether they are SMBs or multinational corporations. It’s easy to understand why. Server virtualization using solutions such as Microsoft Windows Hyper-V saves money, utilizes untapped resources and helps enhance availability and performance. However, server virtualization is only half the solution. You also need storage virtualization to maximize server virtualization’s pay off. That’s where StarWind Server Software really delivers. It’s an affordable and scalable storage virtualization platform for Microsoft Hyper-V that’s easy to deploy and starts generating ROI as soon as you install it. 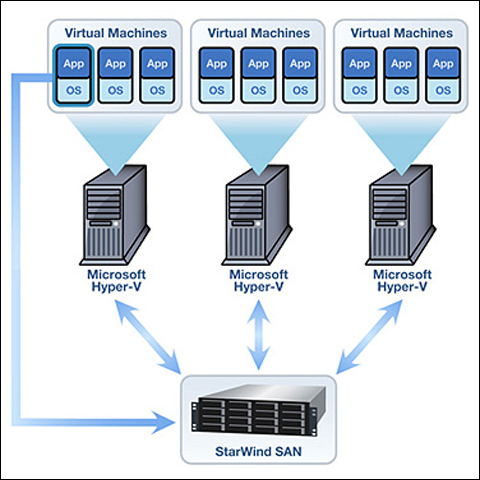 StarWind’s IP SAN solution installs on Microsoft Windows Server 2003 and Server 2008 or on any Hyper-V Virtual Machine itself. Plus you can convert your existing servers into a high-performance SAN in less than 30 minutes. Our SAN software supports the widely used iSCSI protocol, so there’s no need to deploy a high-cost, complex, proprietary SAN. With StarWind, Microsoft Windows Hyper-V administrators get a scalable, cost-effective and easy-to-use Windows-based iSCSI SAN that fully protects your Microsoft Windows Hyper-V environment in the event of a catastrophic failure. 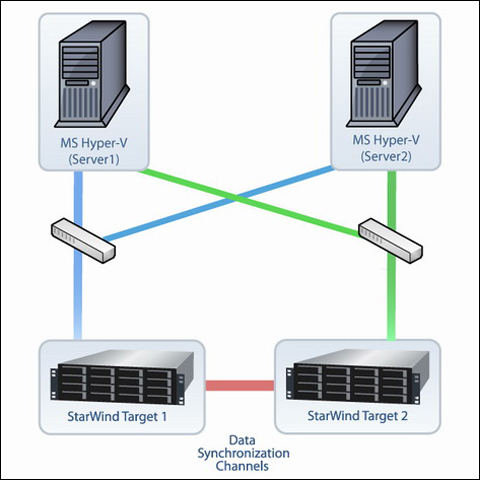 Finally, you can use Microsoft Windows Hyper-V to build a true Windows Server cluster with StarWind IP SAN. And you don't even need to invest in new hardware--repurpose existing infrastructure without any additional purchases. Importantly, take advantage of Microsoft Windows Hyper-V and its sophisticated features such as host-to-host connectivity, virtual machine clustering, live backups with VSS and more for your most mission-critical applications. please contact our Sales Representative at 2556 2162, or email at sales@ppn.com.hk. Copyright © 2016 Pacific Professional Network. All rights reserved.